London Gatwick Airport is 30 miles away and has regular scheduled flights around the UK, Europe and International destinations. Heathrow, Luton and Stansted airports are also within easy reach via the M25 and M23. It will take 30-40 minutes driving. The nearest main line stations is Tonbridge! It has many direct trains from London and journey time is about 45 mins. It is a 10-15 minute walk or short taxi to the School. 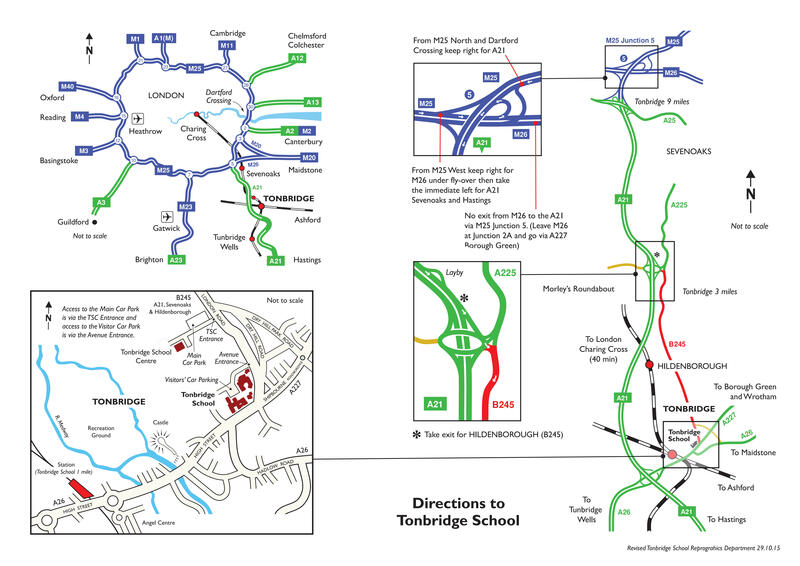 Tonbridge School is located between just South of M25 between Sevenoaks and Royal Tunbridge Wells. It is very well connected to A21, A26, M25. It's close to London and within easy reach of Brighton. 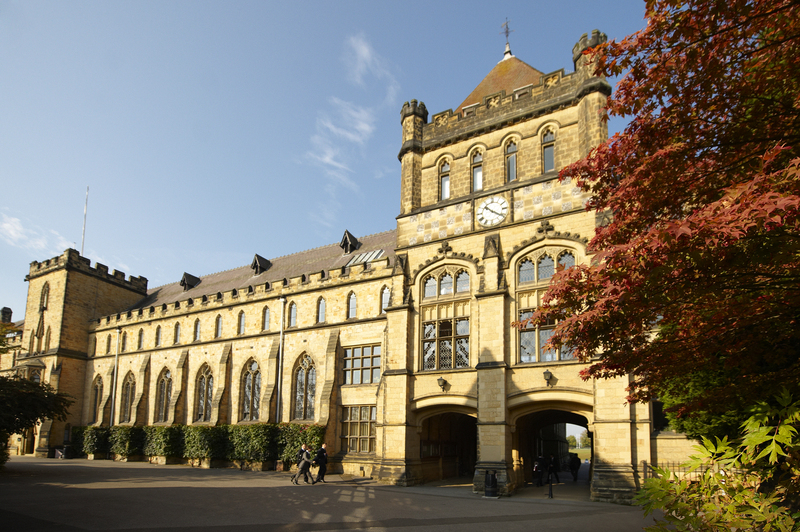 Tonbridge School was founded in 1553 by Sir Andrew Judde, under Letters Patent of King Edward VI. The Charter ordained that the Governors of the school after the death of the Founder were to be the Worshipful Company of Skinners, one of the oldest City Livery Companies. It is still today one of the most prestigious public schools in UK and ranks in top 10 list of hardest schools to achieve entry. Tonbridge occupies an extensive site of about 150 acres on the northern edge of the town of Tonbridge, and is largely self-contained within that site. Although it has a traditional look and feel the buildings are incredibly well maintained and many have sensitively but delightfully modernized. The areas we will use for the Festival are all very atmospheric and great to dance in. The town is a short walk away and has a myriad of coffeshops, bars and restaurants.